With iPhones, iPads, and Apple’s iMac amongst the most must-have products on the market today, it’s perhaps not surprising that they are the world’s most valuable publicly traded company. Of course, it hasn’t always been that way. Cast your mind back just 20 years to the glorious 90s and whilst N-sync were busy providing a catapult for Justin Timberlake’s solo career Apple was struggling to keep up with its competitors and gather any real traction in the home computer market. But on the 6th of May 1998, having recently returned to the company as CEO, Steve Jobs unveiled Apple’s latest product – the iMac. This iconic computer signalled a quite sudden change in fortunes for Apple, whose new fantastically marketed and beautifully designed iMac took the world by storm. A reasonably priced computer full of style and flare, concerned entirely with the user-experience was exactly what the computer market was yearning for. Ultimately the release of the original iMac gave Apple the opportunity to capitalise on their brand reputation and gave enough market share which led to their real breakthrough products; the iPhone, iPod and everything the brand has produced since. To show our gratitude to this game-changing machine, for its 20th birthday, we take a look at the various incarnations of the iMac through the ages and genuinely pay homage to the iMac shaped spark that ignited a home computing revolution. 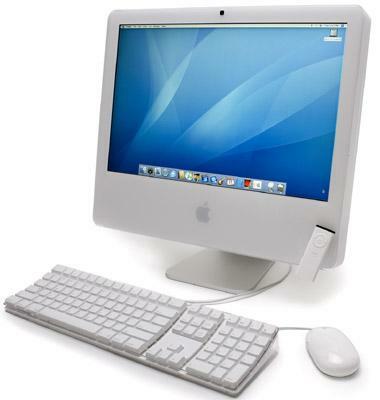 With its compact, all-in-one design and innovative features and marketing drawing focus away from product specification and towards consumer usability, the iMac was a huge hit with 278,000 iMacs reportedly sold within the first 6 weeks. Less than a year after the launch of the original iMac, Apple had more than tripled its quarterly profits. Steve Jobs with the original ‘Chic, not Geek’ iMac, 1998. 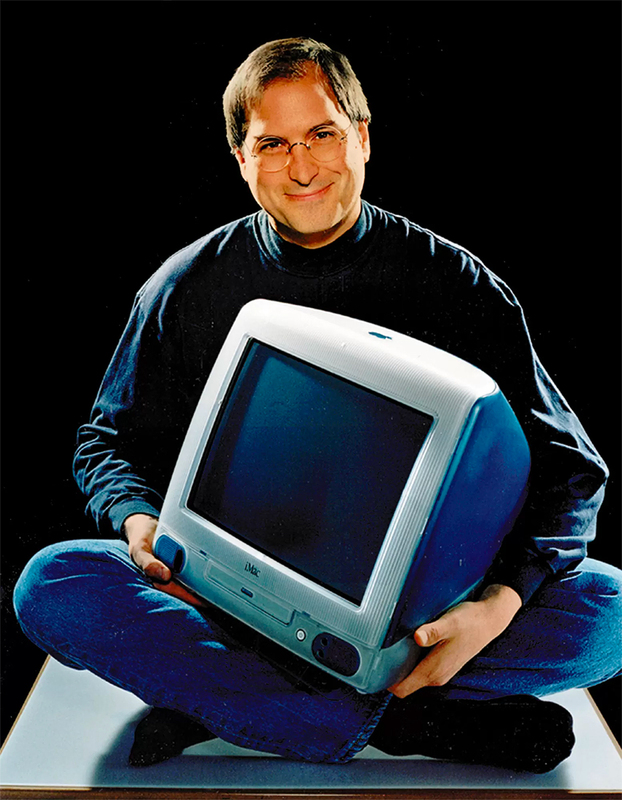 Steve Jobs referred to the iMac as “an impossibly futuristic device” when it was launched. The first iMacs featured a 15-inch CRT screen, a tiny 4GB hard drive, and translucent styling that was typical of the ‘90s. The iMac G4 certainly had a tough act to follow, but it stood up to the challenge. Just a few months after the launch of the iPod, the iMac G4 was introduced. With its simple, radical design, the iMac G4, inspired by a sunflower, featured a 15-inch LCD screen that could be tilted and swivelled thanks to its neck style mounting. The iMac G4 allowed, at the time, unparalleled hardware flexibility for consumers, it serves as a reminder of the constant mission undertaken by the Apple design team to service the consumer experience with their design decisions that still to this day manages to win over Apple fans worldwide. By 2005, the iPod had become a huge hit. Apple needed a desktop that would complement the iPod and work seamlessly alongside it. Introducing the iMac G5 which was available with 17 or 20-inch displays, the iMac G5 signalled the introduction of Apple’s now distinctive floating stand design, which is still used today. The G5 also offered a significant boost in speed thanks to its 64-bit CPU. In 2007, the sleek and stylish aluminium iMac was introduced to the market. Taking inspiration from the impossibly popular iPhone, this updated iMac boasted a metal and glass design, larger 20-inch and 24-inch screens, dual-core processors, and wireless mouse and keyboard options. Where the iMac of the past had typically been a home computer, this incarnation made the iMac much more appealing to professional and creative markets. By 2014, the iMac was going from strength to strength. 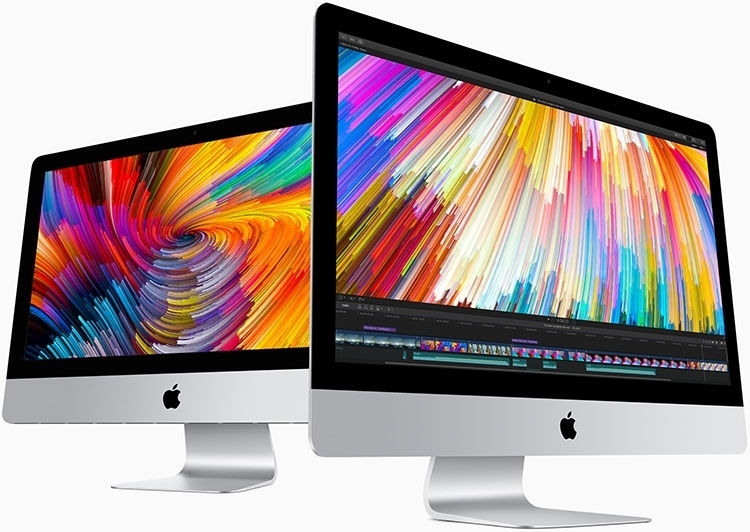 When the iMac with Retina Display was introduced in 2014, it boasted one of the first 5K screens on the market which capitalised on its already impressive reputation with creative professionals. Offering a ‘Real’ product capable of acting as an in-between, on the lower end of specification it was a dream machine for home users and on the higher end a beautifully designed all-in-one perfect for the creative professional market. 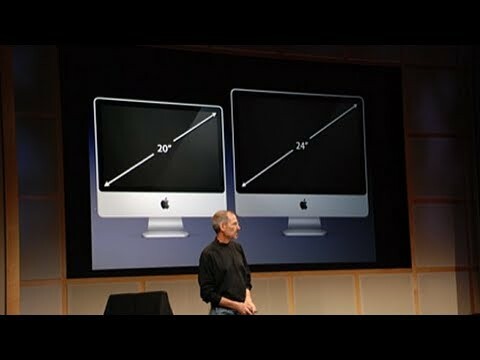 Today, in its 7th generation, the iMac is almost totally unrecognisable from the original design. Particularly favoured amongst creative and tech experts, the popularity of the iMac shows no signs of slowing as it continues, in classic Apple fashion, to evolve in response to market demands and technological developments. 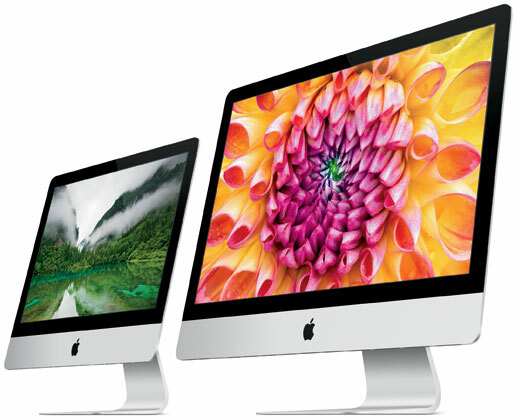 If you’re thinking of leasing an Apple iMac, get in touch by clicking here or calling on 0207 1111 643 – our skilled and experienced Apple Certified team will always help you find the best Mac for you, at the best possible price.